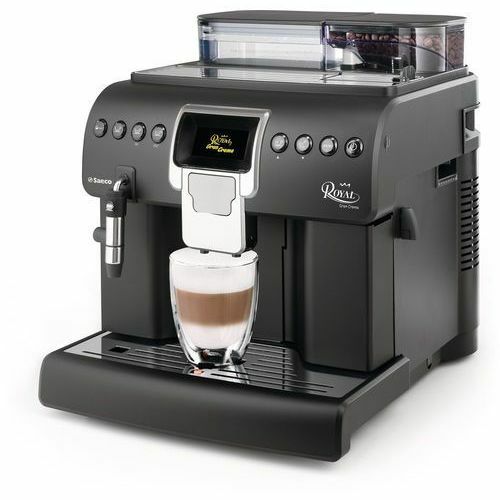 Only Saeco Royal Gran Crema espresso machine is always ready to brew all your preferred coffee and milk specialties both at home and in your office for your enjoyment during the day. 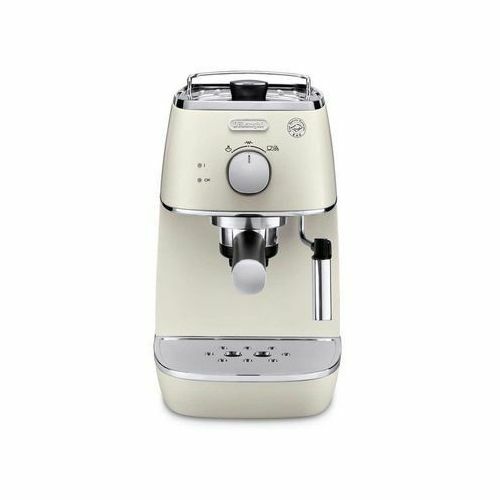 Authentic Italian coffee perfection - Delicious milk froth thanks to the automatic milk frother. 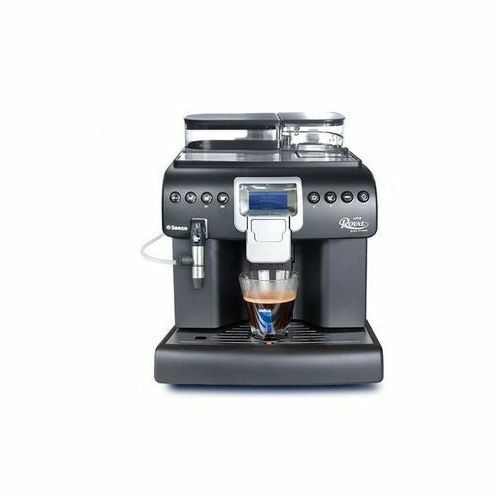 - Coffee without the wait thanks to the quick heat boiler. 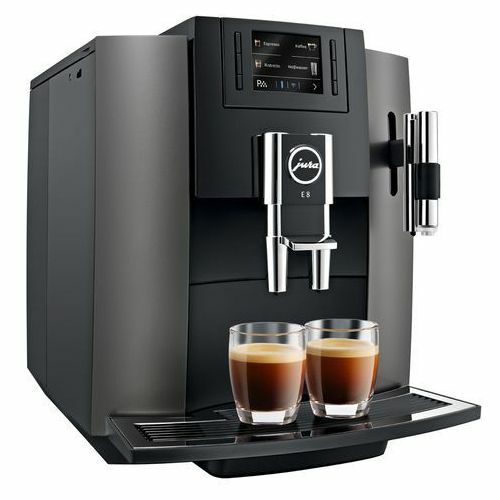 Set the beverages to suit your taste - Save your favorite coffee settings. 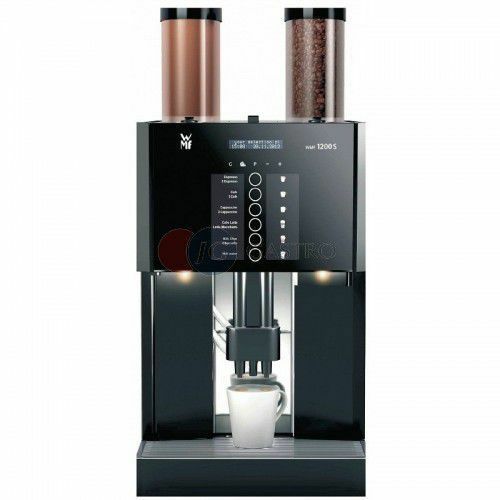 - Avoid heat loss and fit every cup with our adjustable spout. 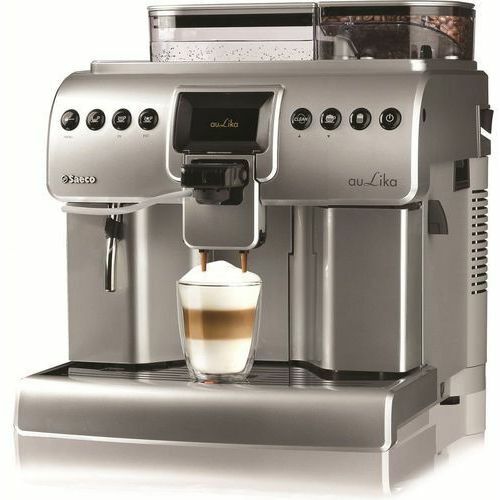 Ease of cleaning and maintaining - Always a clean machine thanks to auto-clean and descaling. 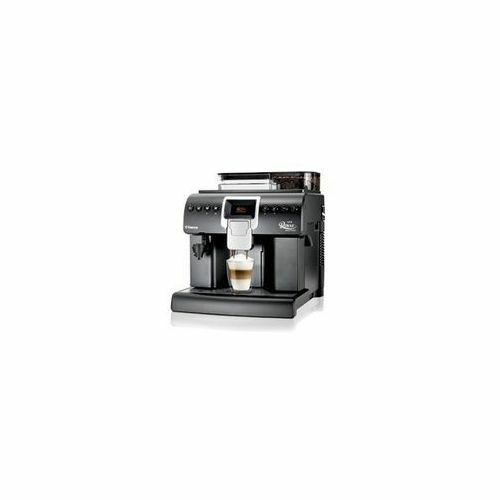 - Easy cleaning thanks to removable brewing group. - Easy cleaning thanks to dishwasher-safe parts. 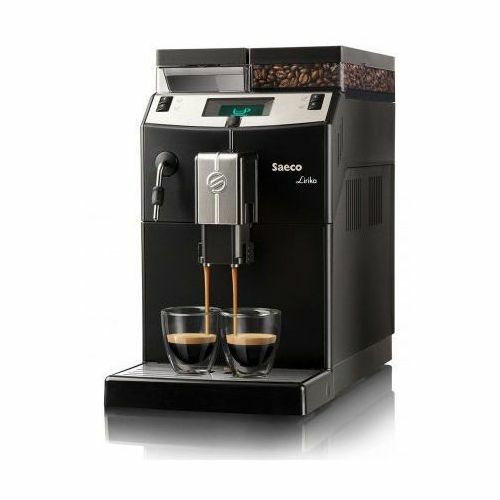 Quick heat boiler The Saeco quick heat boiler technology ensures your machine is always ready. 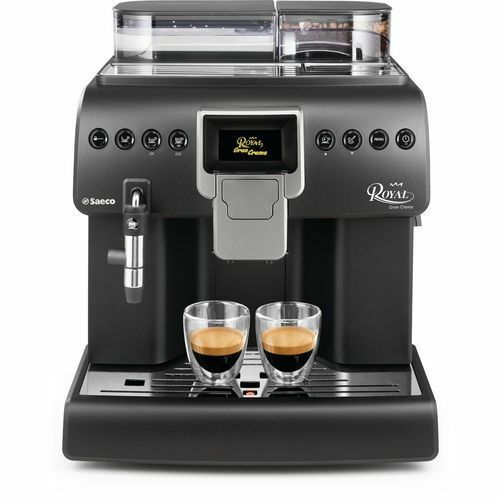 Now you won't have to wait between brewing each espresso, but can prepare coffee after coffee. 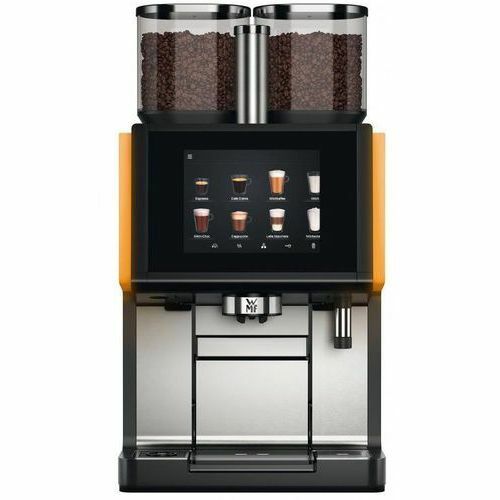 Saves your coffee settings You will always get a perfect cup of espresso brewed just for you, according to your personal preference, thanks to our innovative memo function to adjust the coffee length, strength and temperature. 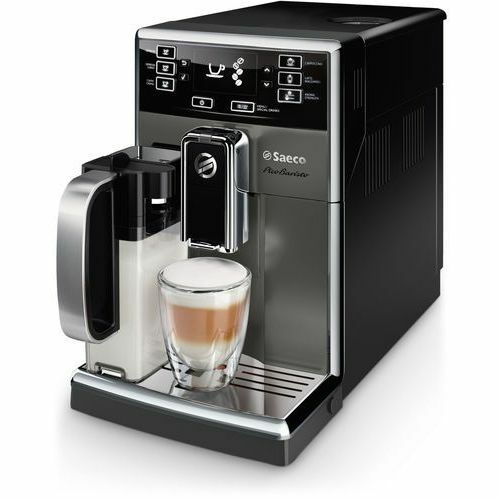 Enjoy a superb coffee drink in your favorite cup with just the press of a button. Adjustable spout The adjustable spout on our espresso machines will fit every cup and thus prevents the coffee splashing or cooling down while pouring in your cup. 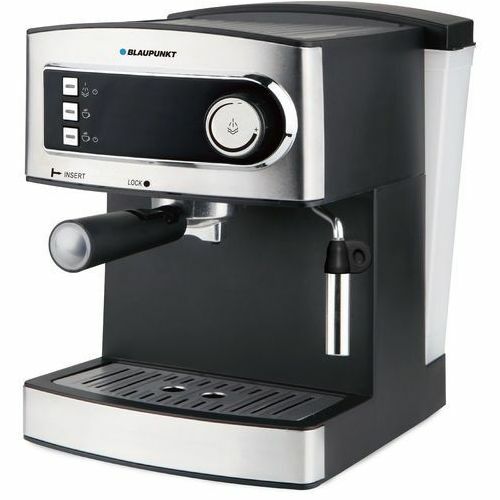 This way your espresso is always served at the right temperature while maintaining a clean machine. 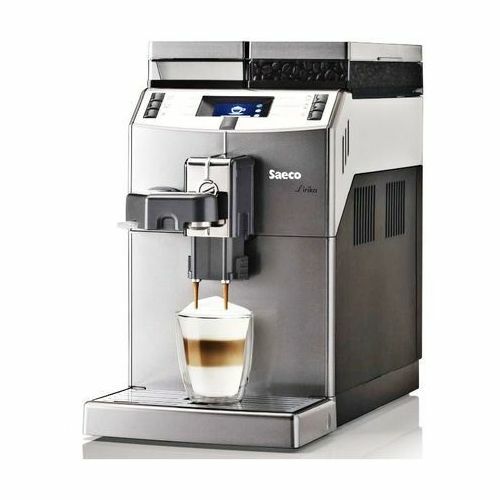 Dishwasher-safe parts For your convenience, you can put the Saeco’s drip tray and milk frother or milk carafe in the dishwasher. This will save time and ensure a hygienic cleaning. 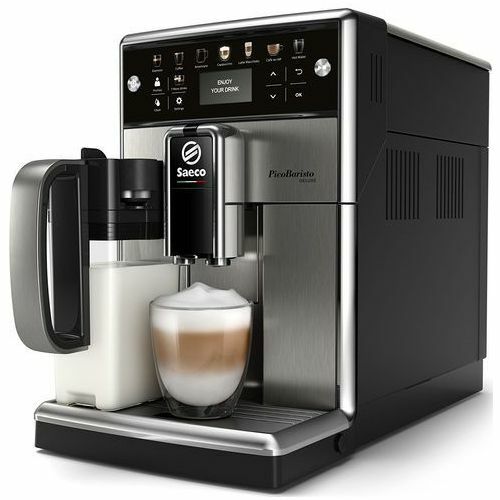 Removable brewing group The brewing group, a Saeco invention, is the heart of our espresso machines, ensuring automation. 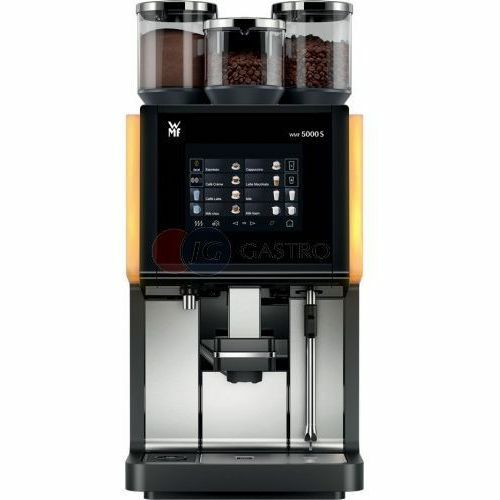 The brewing group is, depending on the model, easily accessible from the front or side. 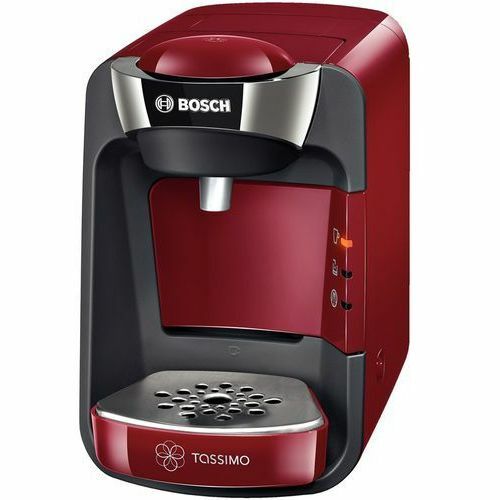 It can be removed effortlessly for easily cleaning by rinsing under the tap ensuring maximum hygene. 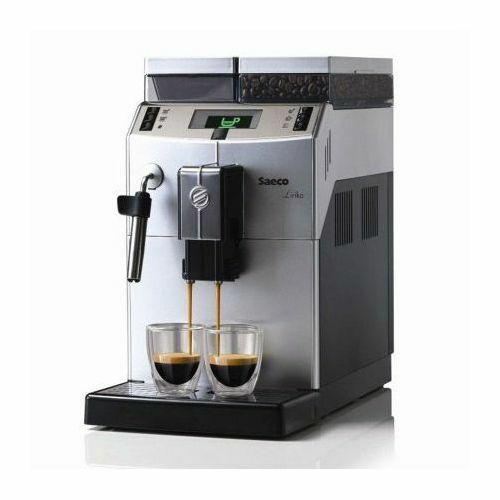 Auto cleaning and descaling Saeco designed this espresso machine to automatically clean its coffee circuit with water upon starting up or switching off of the machine, this delivers a great, fresh taste with each cup of coffee. 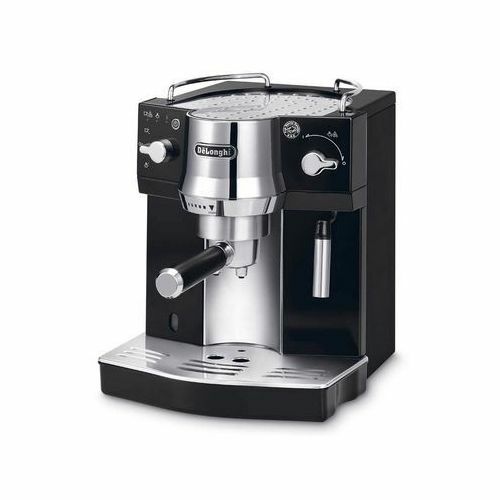 Regular descaling prolongs your espresso machine’s life. 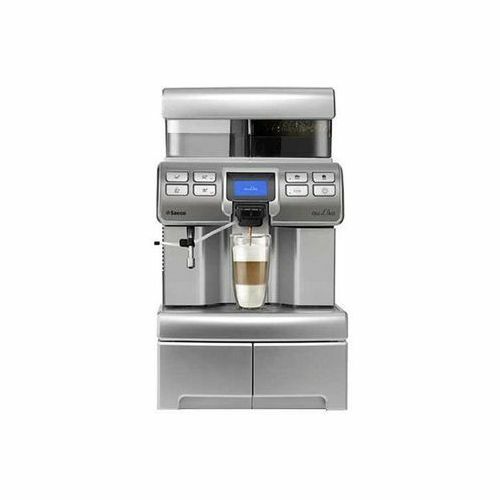 This machine will not only prompt when descaling is needed, the automated descaling process will start on your machine and guides you with clear on-screen messages when you have to intervene. 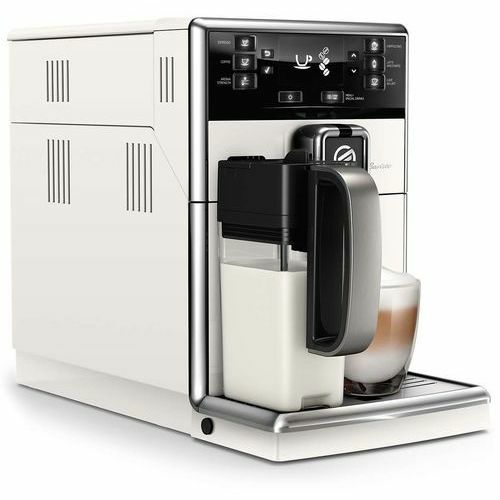 Descaling has never been so easy! 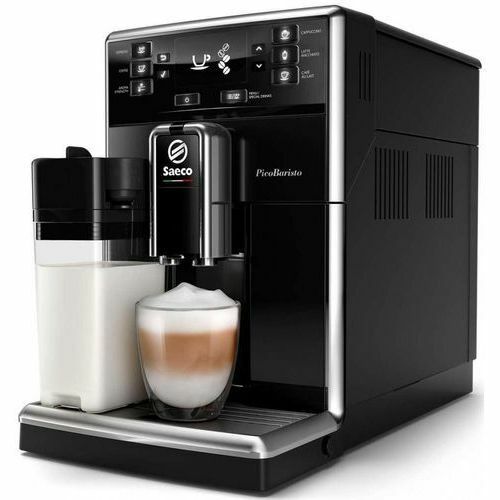 Automatic milk frother Preparing a tasty cappuccino is easy with this Saeco espresso machine thanks to the automatic milk frother, which baristas also call "cappuccinatore". 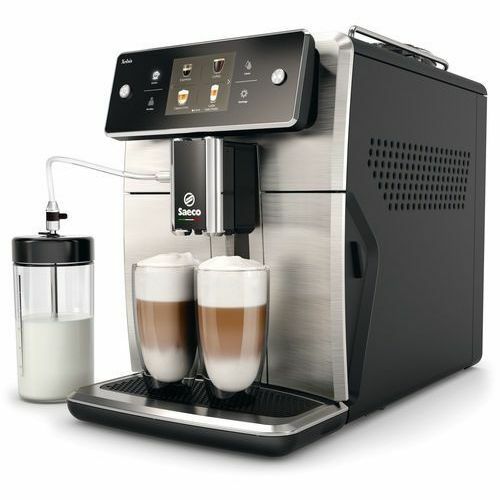 The milk frother will draw milk directly from a milk carton or jug and froth it automatically, dispensing it directly into your cup. 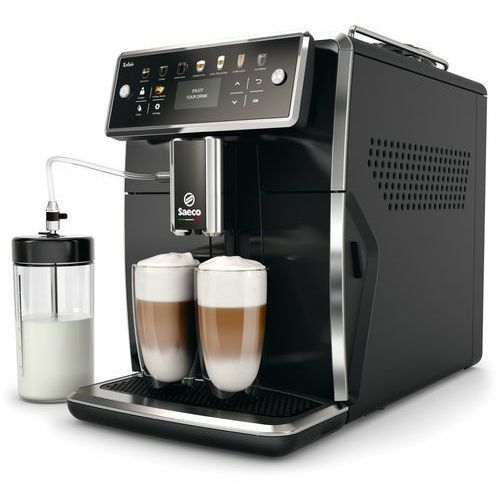 With just one touch you will instantly get a delicious and creamy froth.